New roadside breathalysers that will allow the police to gather on-the-spot proof are set to be introduced in 2020. 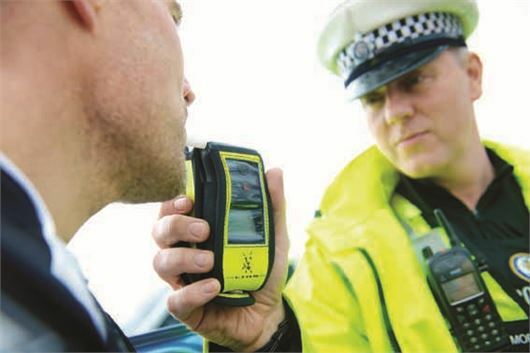 The new instant test means drivers suspected of drink driving will not have to be taken back to a police station in order to obtain evidence, as is currently the case. These mobile evidential breath tests should see fewer drivers who are marginally over the legal 35mg alcohol limit escaping punishment. Currently, drivers have time to 'sober up' as they are transported to the police station to be tested. In 2016, more than 460,000 people undertook breath tests, with almost 59,000 testing positively or refusing a test. The Department for Transport says that mobile breathalysers will save the police time and resources. Figures show that in 2015, fewer people died on UK roads as a result of drink driving than in any year since records began. The Government is currently spending £350,000 on a competition which will see companies submitting technologies which will rapidly calculate the amount of ethanol in exhaled breath for use at the roadside. "The drink drive limit has helped to give us one of the safest road networks in the world but there is always more we can do," said Transport Minister, Jesse Norman. "This new mobile breathalyser technology will enable the police to enforce the alcohol more rigorously limit on those who still choose to drive after drinking, putting others at risk."